Ghana's Food and Drug Authority will ban the sale of cosmetics made with the skin-bleaching ingredient hydroquinone in August 2016, The Ghana Star has reported, via Dazed. Hydroquinone, which is already banned in the United States, Japan, Australia, and the European Union, has been identified as a carcinogen in lab trials. 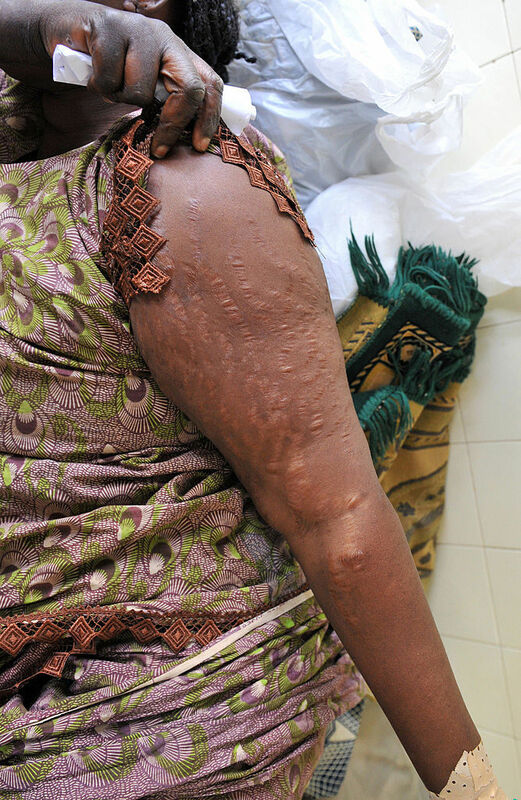 Side effects of skin-bleaching products containing it include aggressive skin irritation, burning sensations, and even damage to the kidney, liver, or nerves. Ghana FDA spokesperson James Lartey confirmed the ban in an interview with Ghana Star. “Concerning skin lightening products, we are saying that from August 2016, all products containing hydroquinone will not be allowed into the country. From 2016, the acceptance for skin lightening products is going to be zero.” It is unclear whether that means the government will eventually move to ban all skin-lightening products, which many feel encourage unrealistic beauty standards and colorism. Skin bleaching remains hugely popular in Ghana and other African countries. 30% of women in Ghana admit to bleaching, while 70% of Nigerian women use the products, 59 percent in Togo, and 27 percent of women in Senegal.